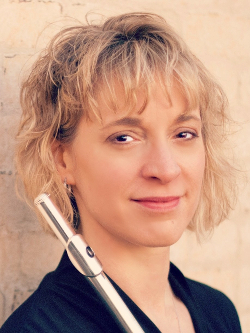 Kelly Mollnow Wilson holds a Master of Music degree in Flute Performance from The Ohio State University and a Bachelor’s degree in Music Education from Baldwin-Wallace College. Ms. Wilson has nine years of teaching experience in the instrumental music department of the Wooster City Schools in Wooster, OH. While at Wooster her responsibilities included directing the Freshman Band, assisting with High School Marching Band, teaching fifth and sixth grade woodwinds, and coaching middle school girls basketball and volleyball. Ms. Wilson is a licensed member of Andover Educators, Inc., a consortium of music educators dedicated to preserving and enhancing the careers of musicians through accurate anatomical information and somatic awareness as applied to music-making. Through a unique and powerful tool called Body Mapping, Ms. Wilson helps students in all disciplines avoid injury and become better musicians. She has presented Body Mapping workshops for students and faculty at Cleveland Institute of Music, Oberlin Conservatory, University of Akron, Case Western Reserve University, Ashland University, the International Flute Symposium at West Virginia University, members of the Cleveland Orchestra Youth Orchestra and at the National Flute Associations Conventions in 2006 and 2012. Ms. Wilson currently serves on the Board of Directors for Andover Educators. Ms. Wilson currently teaches privately and is a free lance musician in Northeast Ohio. She is a founding member of the Aella Flute Duo and has performed at NFA Conventions in 2011 and 2012. She is a member of NAfME, OMEA, NFA, Akron Federation of Musicians Local 24, PAMA, and is active with the Greater Cleveland Flute Society. A native of western New York, Ms. Wilson resides in Medina, Ohio with her husband Don and two young daughters. Visit her personal website at: www.wilsonflute.com.